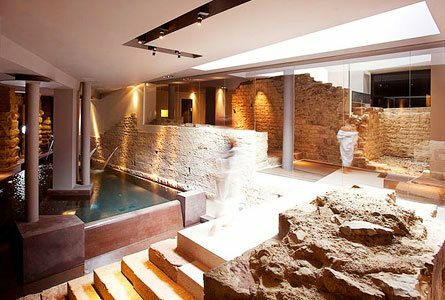 This boutique hotel and museum spa is situated within a 700-year-old medieval stone monastery. But while the building may have been built in 1275, the decor is nothing but modern, minimalist and technologically-savvy. With only 18 suites available, we found our stay felt incredibly intimate and calming. The spa's owners maintain a respectful reverence of the Ancient Roman tradition and have created a circuit that invites visitors through four separate rooms with varying temperatures and levels of humidity. 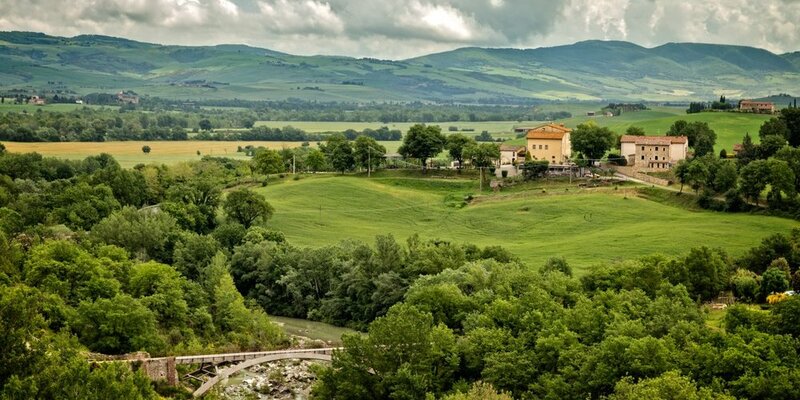 The experience is purifying and regenerating and was the perfect way to start off your Italian roadtrip. Make sure to also squeeze in a visit to the town of Assisi while you are visiting the spa - the medieval city is not only the birthplace of the Franciscan Order of monks, but it also houses some of the most gorgeous medieval architecture in Italy! Location, location, location. If you're looking for the prime spot in Roma for views, access to the city and impeccable service, the Palazzo Manfredi should be your one-stop stay. 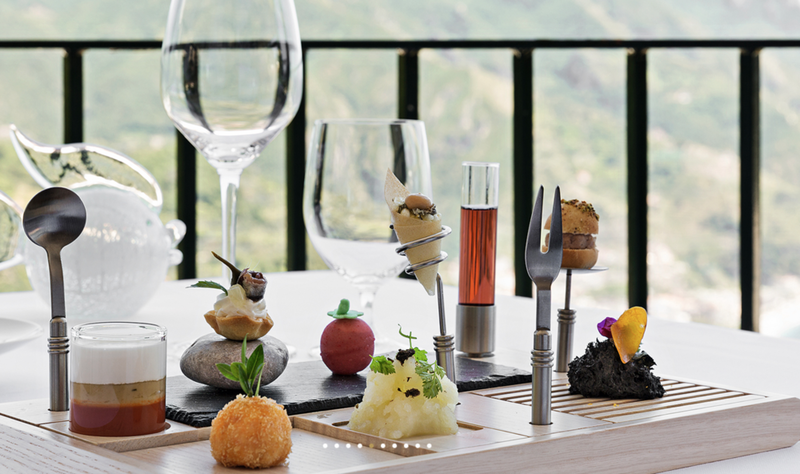 This boutique hotel truly is five star Italian luxury at its best. We fell head over heels during our first night in this hotel with its sumptuous interior design and enchanting wallpapered rooms. 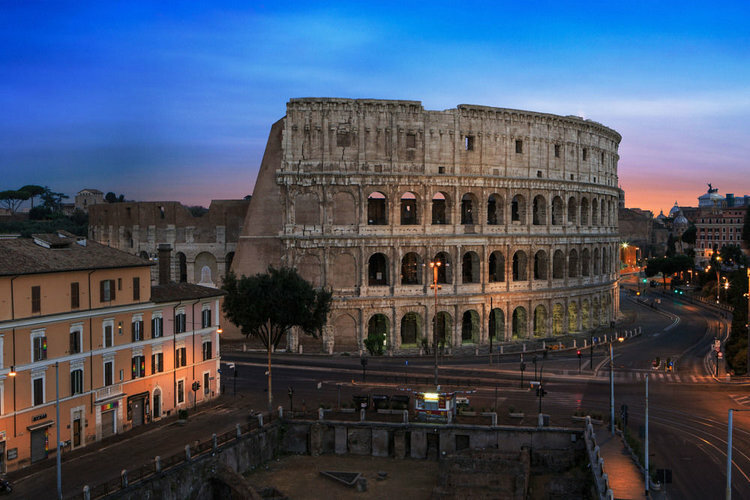 Each morning we woke up and enjoyed breakfast at the in-house (incredible, world-renowned) restaurant Aroma, welcoming the day with rigatoni and prosecco - the Colosseum sitting gloriously at our doorstep. Be sure to spend at least one night at this majestic hotel before embarking on more Italian adventures. 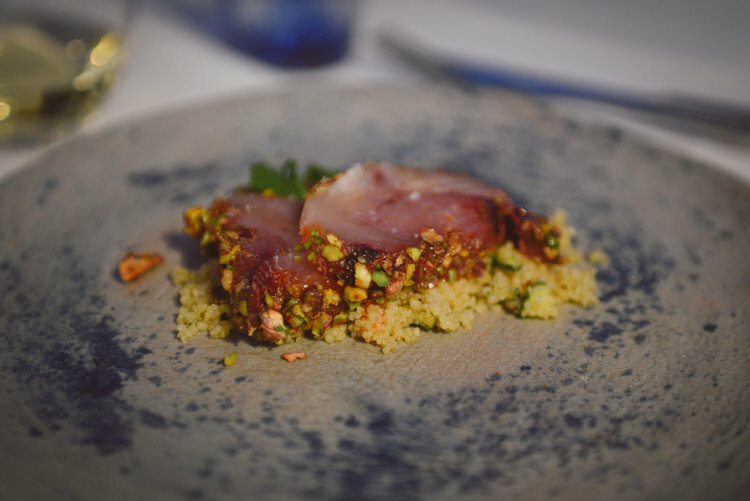 We have high standards here at Well Travelled Bride, but even we must admit this may be one of the most fabulous restaurants we've ever visited. 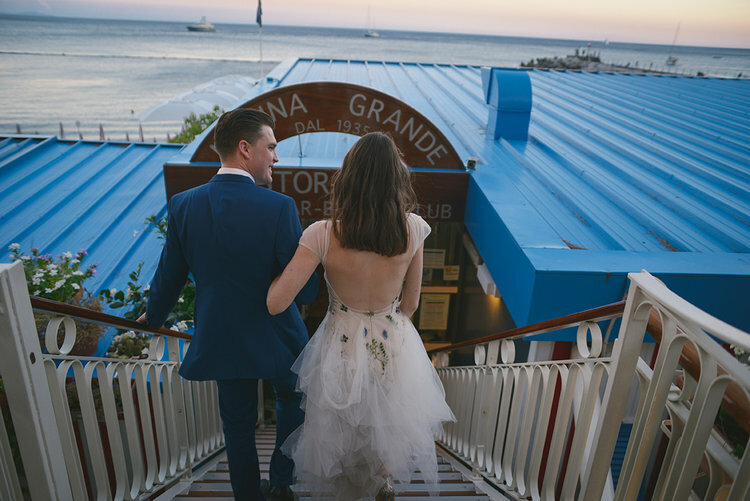 Our tip would be to arrive early and enjoy appetizers and prosecco on the terrace - a front row seat to a promising sunset view! 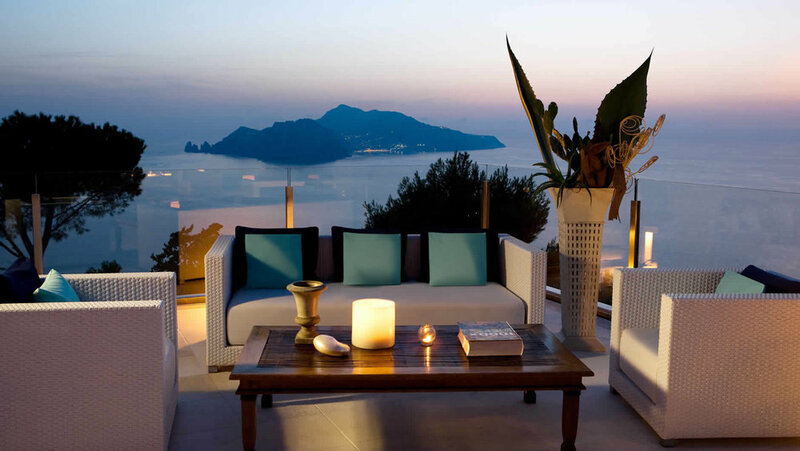 Realis Blu sits on the very far point of the Sorrento Peninsula, so patrons can be assured a stunning view no matter the time of day. And if the glamorous white decor of this restaurant could be matched by anything, it would surely be the impeccable cuisine produced by the Michelin Star Kitchen. Seafood is, of course, the main attraction, but the restaurant's garden of spices and herbs also enhances every other meal on the menu. We personally recommend the flying squid. We all know that days of travel can eventually feel like anything but a holiday, so we recommend an overnight stay at this gorgeous spa for a little rest and relaxation during the halfway point of your trip. 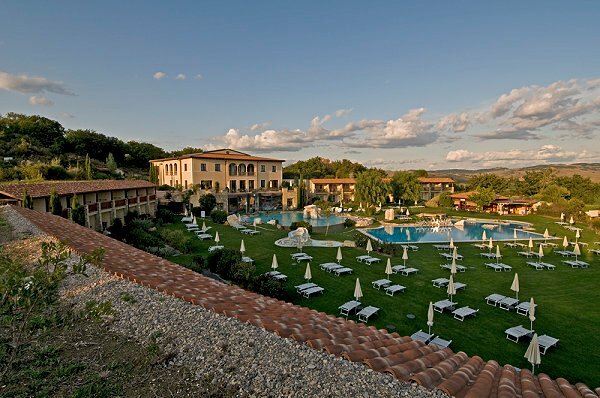 Nestled within the rolling Tuscan countryside, the Adler Thermae is a UNESCO Heritage site and one of Italy's leading wellness resorts. Start your visit with a private couple's massage, followed by a dip in the pool and a sampling of the delicious lunch buffet. And if you start itching for activity, spend your time between treatments exploring the expansive property and all the beauty it has to offer! Nestled in the hills of Montalcino, visitors will find not only one of Italy's finest wineries, but the rustic yet charming boutique Castello Banfi hotel. If exploring wine country is high on your list, these are the upscale accommodations you'll be needing. We highly recommend curling up with a book after a day trip to Sienna and soaking up the joys of this historic castle. Highlights of our stay included dinner and wine at the heavenly Sala dei Grappoli, adding to our knowledge of Italian wine with an exclusive Cellar Tour, sipping Aperol Spritz by the pool and spending a rainy afternoon in the incredibly stylish Reading Room. This spot is definitely a new #welltravelled favourite. 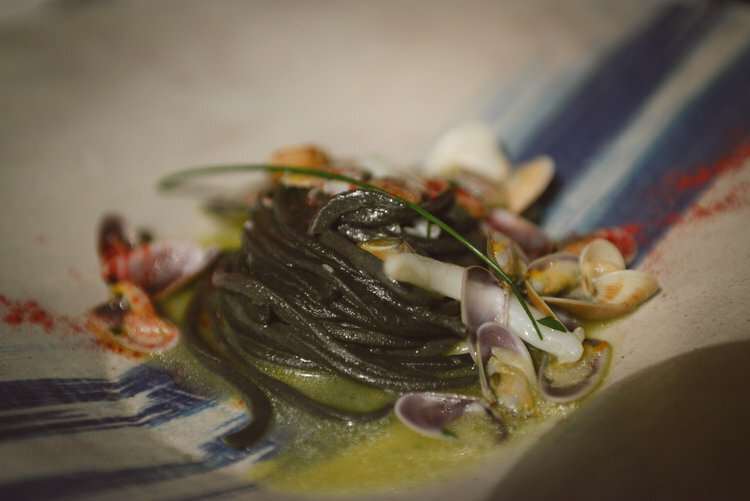 Seafood lovers will adore this waterfront restaurant on the Amalfi Coast. Some Italians claim this restaurant holds some of the town's best views of the sea at sunset - the perfect accompaniment to your mussels and linguine. For lovers looking to spend a long evening lingering over good food and rich wine as the day turns to night, this little restaurant is a spot you must bookmark. Using the intimate memories and details of your love story as a foundation, the weddings planned by Amalfi Soirée are not only spectacular, but personal as well.